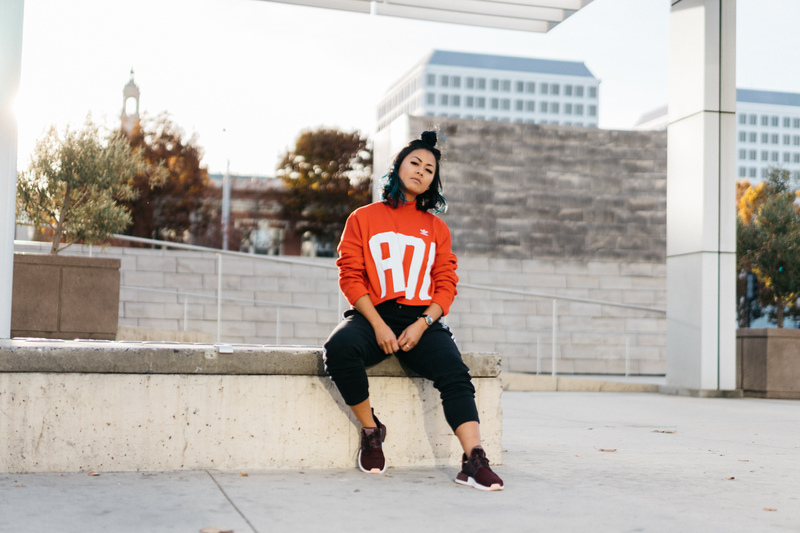 Let’s face it athleisure is here to stay. 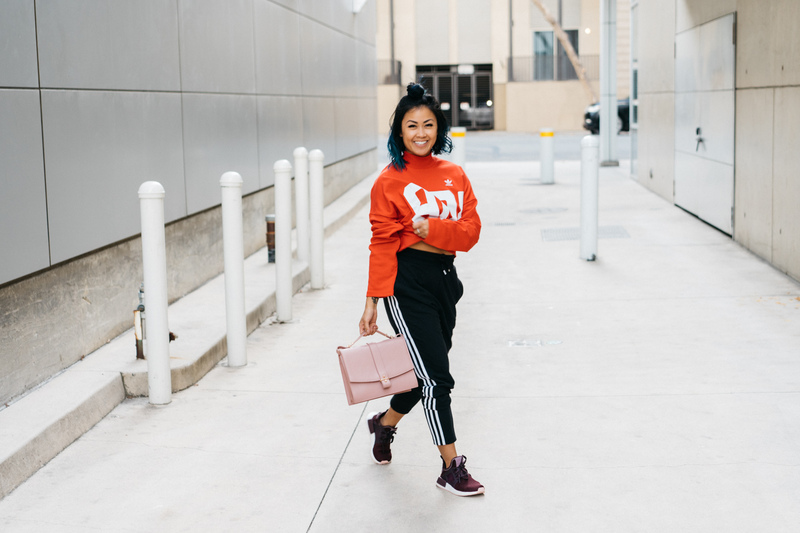 We all thought it was a fad and an easy out for us fitness gals to go from the gym to the street in an easy to rock outfit. Let’s be honest, yoga pants and a white tee and maybe some cute sneakers are the way to go. Throw a leather jacket over the outfit, slap on some red lipstick, and call it a day! I’ll admit this is my go to look nearly every other day. However lately, I’ve been really into looks that are borrowed from the boys: hoodies, sweaters, baggy sweatpants, and sneakers. Being a kid I never understood why my mom paired my dresses with sneakers. But then when my adult life became busier than ever, I remember needing to find a look that I can be comfy in while running around from one office meeting to the next. Which quickly became the same look I resented my mom putting in me in. 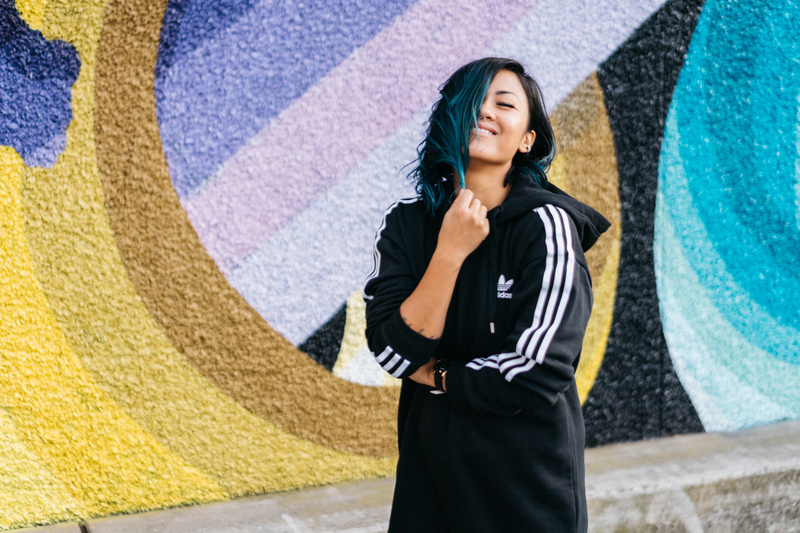 Sportswear brands like adidas Originals just get it. Especially when you’re the kind of woman who’s hustling from one appointment to the next. 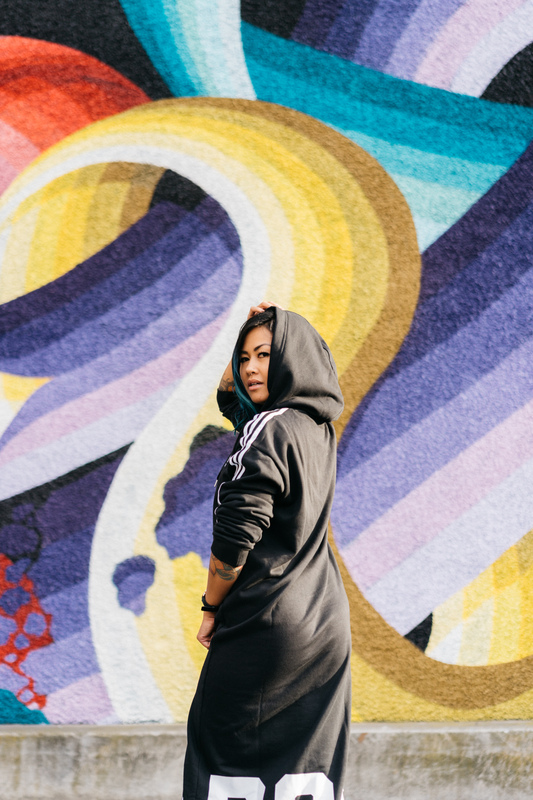 This adidas Originals Bold Age Hoodie Dress is probably one of the best apparel creations ever. It’s perfect to throw on over a sports bra right after yoga class for a coffee date. Not only does it make you look like you put yourself together for your meeting, but you’re still extra cozy. 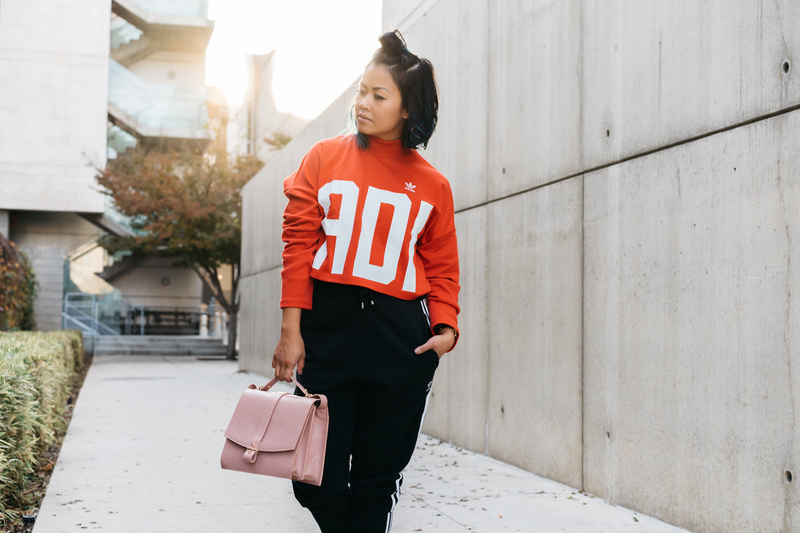 Another look I’ve been loving this fall is a cropped top paired with sweatpants. The cropped sweater gives this tomboyish look a flirty feminine feel. 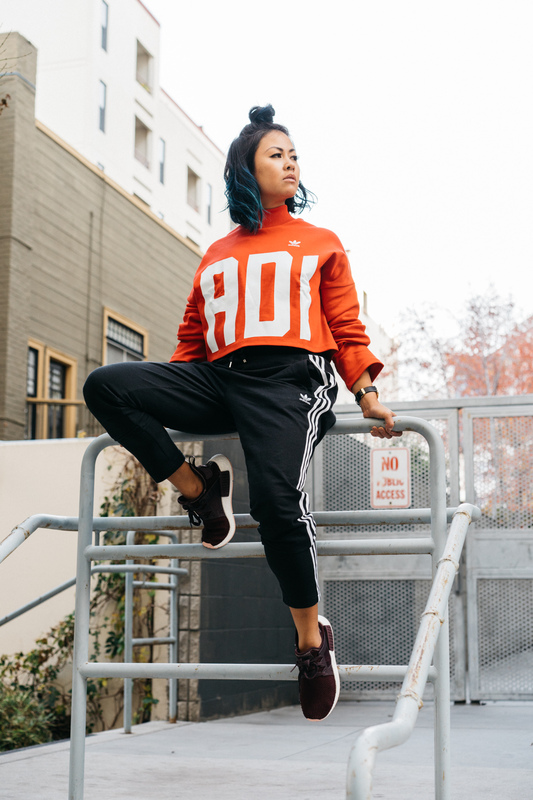 The adidas Originals Bold Age Cropped Sweatshirt has this old school vintage vibe which brings me back to my middle school days when things were less complicated, not as busy, and the only thing that concerned you were girlfriends and mix tapes. 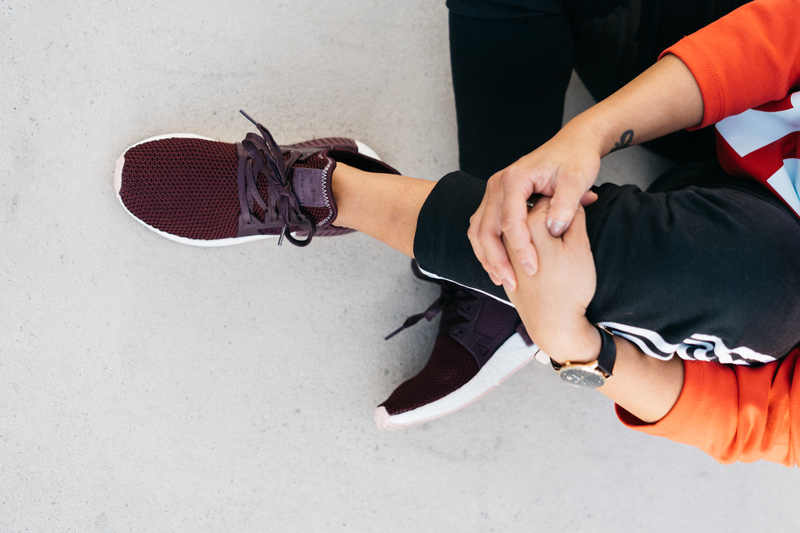 I was never a sneaker girl before my love for fitness and now I live in them. I hate to admit this, but I’m a little boujee when it comes to sneakers. 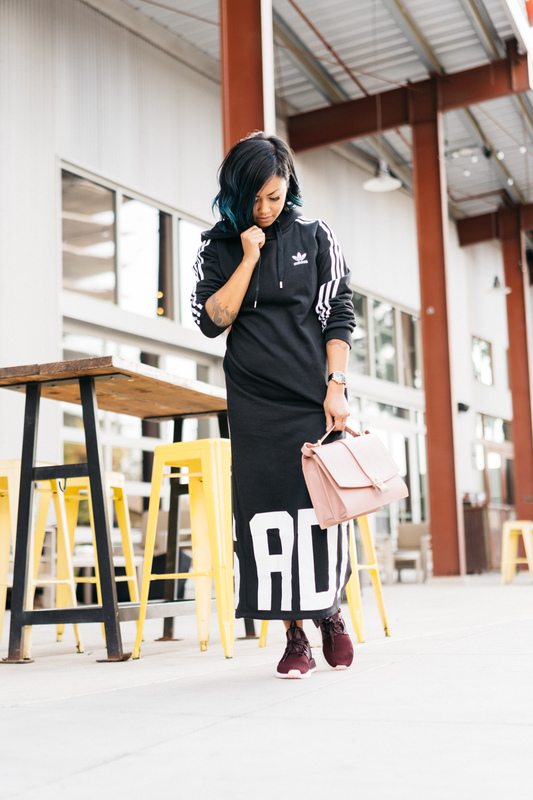 I don’t like wearing sneakers I use for working out with my athleisure clothing, but I prefer them to have a little bit of a sporty look to them rather than them looking over casual like classic sneakers. That’s where I think the NMD RX1 Casual Shoes come to play. 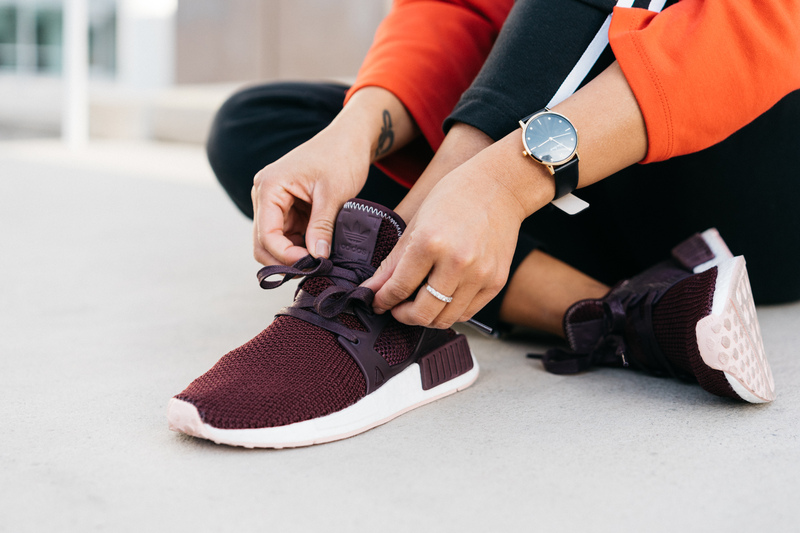 They are lightweight, ultra cozy, and have just the right amount of sporty spice that I love about running sneakers. I love that they are versatile enough with any look and every time I’ve worn them, I’ve gotten tons of compliments on the color. Style is about being yourself and it’s a reflection of your attitude and personality. When finding your own personal style, experiment. Try new things. Be adventurous in figuring out what accentuates your beautiful personality. 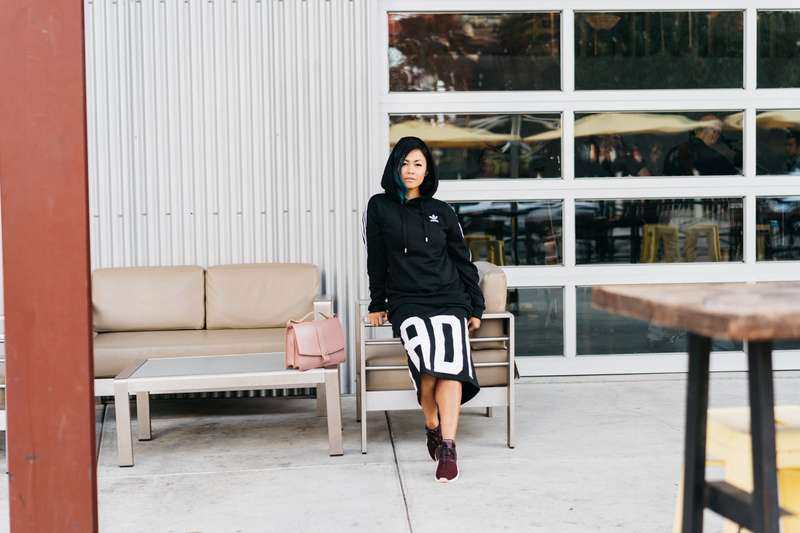 Keep up with Joanne on Instagram and visit @finishlinewomen for all things #WeAreMore.